From 28 April to 1 May, Chinese activists from around the world will gather in India to hold an international conference on the question of how to bring about a transition to democracy in communist China. The event entitled “Strengthening Our Alliance to Advance the Peoples’ Dream: Freedom, Justice, Equality and Peace” will be held in Dharamsala, seat of the Tibetan government in exile, and will bring together Chinese pro-democracy activists and representatives of the country’s religious and ethnic groups, such as Tibetans, Uyghurs and Mongolians. In a move which is set to create fresh strains in an already uneasy relationship between Beijing and New Delhi, India already granted visas to conference delegates, including Dolkun Isa. The latter is the exiled chairman of the executive committee of the World Uyghur Congress and an activist who, for years now, has tried to raise awareness of the atrocities and human rights violations committed against Uyghurs in China. After having been jailed repeatedly for his activism, he fled China in 1997 and was granted German citizenship in 2006. 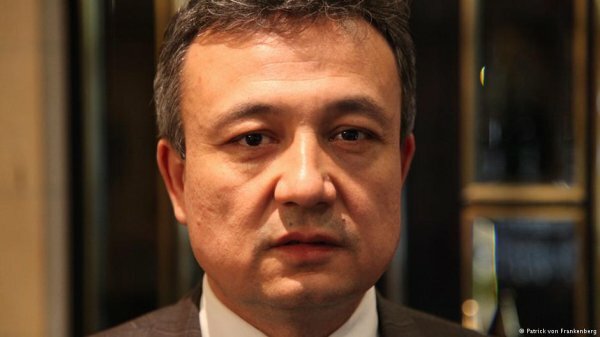 As Beijing falsely accuses Isa of being a terrorist and obtained an Interpol ‘Red Notice” against him, the Uyghur leader has not yet confirmed that he will participate in the conference, organised by US-based Citizen Power for China (CFC), which is led by well-known exiled Chinese dissident and a 1989 Tiananmen Square activist, Yang Jianli. New Delhi not only gave its go-ahead to the organisers to hold the conference in India, but also granted visas to Chinese dissidents, including the World Uyghur Congress leader, Dolkun Isa, who has been dubbed as a “terrorist” by Beijing. The conference will be held from April 28 to May 1 at Dharamsala in Himachal Pradesh – the seat of the Tibetan Government-in-Exile. Dalai Lama, who has been leading Tibetans’ struggle against Chinese rule in Tibet, will receive the delegates and address them. New Delhi’s move, which is likely to raise hackles in Beijing, comes at a time, when India is upset over China’s decision to block the proposal to impose United Nations’ sanctions on Pakistan-based terrorist leader Moulana Masood Azhar. Isa, the chairman of the executive committee of the World Uyghur Congress (WUC), told Deccan Herald from Munich that he had already been granted visa by the Indian government to attend the conference in Dharamsala. However, he would take a final call only after assessing his security in India, as China got a Red Corner Notice issued against him by Interpol, he said. Isa is a front-line leader of Uyghurs’ struggle for greater political and religious freedom in Xinjiang Uyghur Autonomous Region of China. He was jailed repeatedly for his activism against Chinese rule in what Uyghurs call “East Turkestan”. He fled China in 1997, sought asylum in Europe and finally became a citizen of Germany in 2006. He has been campaigning against “atrocities” on Uyghurs and “human rights” violation by the Chinese government and its security forces. Beijing got a Red Notice against Isa alleging that he was a terrorist and the vice-president of separatist East Turkestan Liberation Organisation. He, however, denied having any link with any terrorist organisation. If Isa does not travel to India, the WUC vice-president Omer Kanat and president of Uyghur American Association Ilshat Hassan will attend the conference in Dharamshala. “This is the first time a delegation of World Uyghur Congress is visiting India. We are aware of New Delhi’s positive attitude towards the struggle for Tibet. India has been hosting Dalai Lama and thousands of Tibetan refugees since 1959,” Isa said on Wednesday. The conference – titled “Strengthening Our Alliance to Advance the Peoples’ Dream: Freedom, Justice, Equality and Peace” – is being organised by a US-based organisation Citizen Power for China (CFC), which is led by well-known exiled Chinese dissident and a 1989 Tiananmen Square activist, Yang Jianli. The participants will include China’s pro-democracy activists, representatives of the communist country’s ethnic and religious minorities like Tibetans, Uyghurs, Mongolians, Christians, Falun Gong practitioners, Muslims and Buddhists as well as delegates from Taiwan, Hong Kong and Macau. The CFC, which earlier held similar conferences in Boston, California, Taipei and Washington, stated that the annual conclaves turned into “the single most important united forum for planning and pursuing a peaceful transition to democracy in China”.